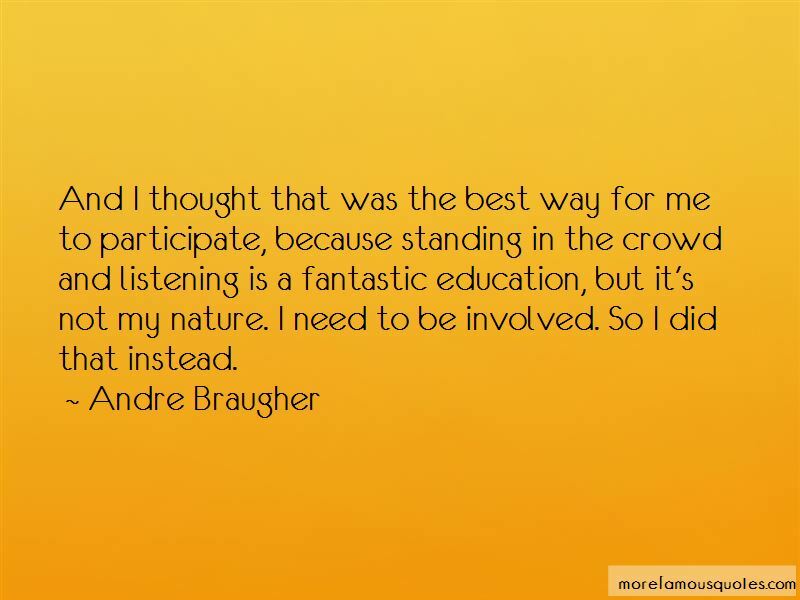 Enjoy the top 23 famous quotes, sayings and quotations by Andre Braugher. They're mutually incompatible I feel; being a wise thief and a wise father. Often times people complain about the lack of time in television, but I have to say, you don't have any more time to film in feature films then you do in television. It's just a question of how many scenes you'll be doing in the course of a day. 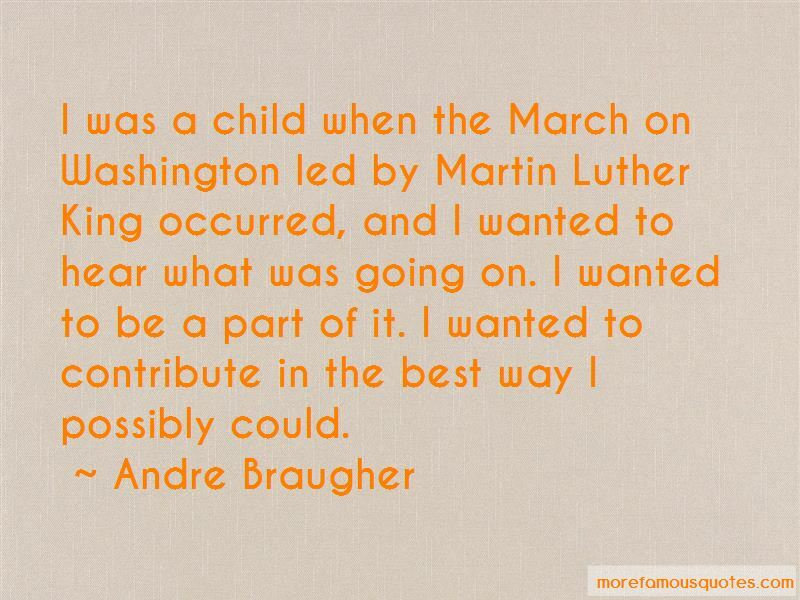 I was a child when the March on Washington led by Martin Luther King occurred, and I wanted to hear what was going on. I wanted to be a part of it. I wanted to contribute in the best way I possibly could. I just like the joyous aspect of playing comedy. Want to see more pictures of Andre Braugher quotes? 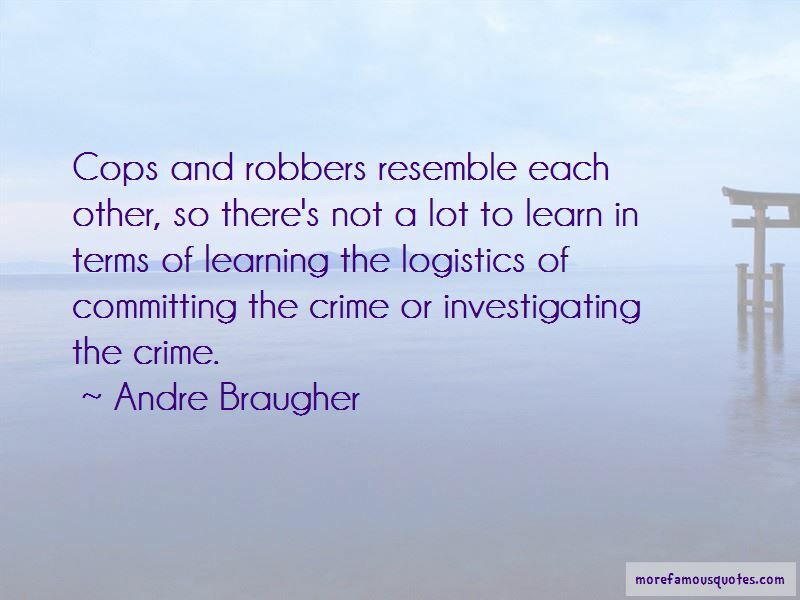 Click on image of Andre Braugher quotes to view full size.